We are a leading Manufacturer of inline duct round fan with external rotor motor, industrial inline duct fan and inline duct square fan with external rotor motor from Chennai, India. We are engaged in manufacturing and supplying Inline Duct Round Fan with External Rotor Motor, which is used for providing fresh air through inline ducts in a wide range of industries including power plants, rubber plants, chemical plants and food processing industries. The offered fan is exceptional in terms of durability and is fitted with a high capacity external motor. We are a trusted name in the industry for manufacturing and exporting Industrial Inline Duct Fan. The offered fan is made from high grade raw materials sourced from our reliable vendor base and checked for the assurance of quality as well. 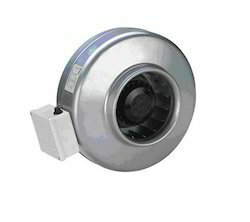 It is effective in providing ventilation through ducts in various industries. 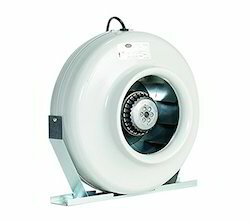 This fan is resistant to abrasion and can be supplied in bulk owing to our efficient warehousing. 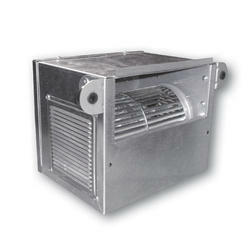 We are offering per clients an exclusive range of Inline Duct Square Fan with External Rotor Motor. Manufactured as per the set industrial norms and guidelines, their quality is impeccable. Made available at the best possible prices and in several specifications, their preference in the market is quite high. Looking for Inline Fans ?